Welcome to our blog. After years of following Jesus, we've found a consistent problem resurfacing again and again: Christians can treat people horribly—and often use the Bible, tradition, and culture to justify it. We've come to call this ugly phenomenon Jackass Theology. It's not a new idea. Jesus confronted it in the religious leaders of his day, and the apostle Paul wrote letters to churches trying to put an end to it. Jackass theology is as old as religion itself. We write to confess, explore, and confront our own jackassery and others, to fight for a better way of being, and Lord willing, make a little collective progress towards the love, joy, peace, and basic human dignity Jesus embodied. When Can I Be A Jackass? What Type of Jackass Are You? There is something powerful, cathartic, and healing about naming the things that have hurt us. David did it all throughout the Psalms. But even more powerful are those rare moments when we name the wounds that we inflict. Whether victim or perpetrator, step one is: we gotta call it what it is. Oh, how easy it is to see the shortcomings in others. How adamantly I swear I will never be like them! But what if my disgust were an opportunity—a mirror—to see the inflated view I have of myself and the limitations on my compassion? What if this became a moment to recognize the magnificently faulty premise that because I've read the Bible, been raised a certain way, or have a particular personality, that God favors me? We aren't here just to point fingers and find problems. Relationships are worth fighting for. And the fight doesn't need to be done alone. Jesus modeled how. Paul explained why. The Holy Spirit emboldens us to do it. You are not alone. Let's fight this thing together! Join our email list and Mark will give you a sloppy wet kiss, a great recommendation for a brewery in Minneapolis, and a killer devotional entitled "Letter to the Jackasses in Rome" all for FREE. There is a problem in Christian culture today. It's not new. It's not out there. It's in me. 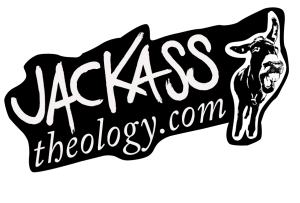 I have contributed significantly to jackass culture within the Church. I'm trying to make my priorities match Jesus'. Why Can’t We Have Rational Dialogue?